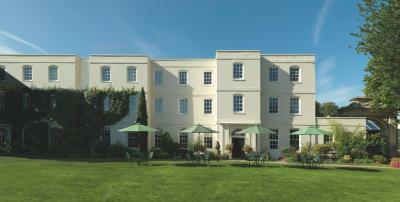 Lock in a great price for Sopwell House Hotel – rated 8.8 by recent guests! 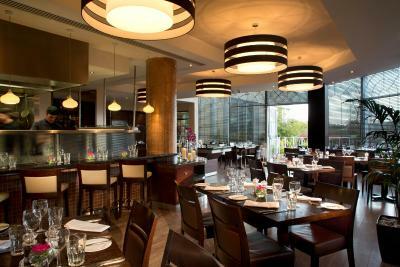 Restaurant food and staff were excellent - really looked after for the evening meal . 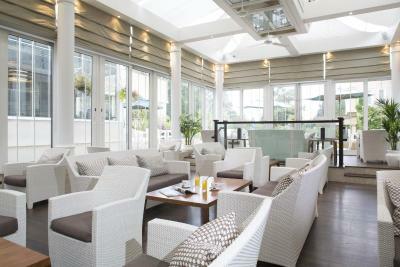 Great environment and good breakfast. Comfortable bed. We booked several rooms for a family get together. We liked the fact that the Mews suites gave us privacy and family time. We got upgraded on arrival, and our room had a fantastic view. We had lunch in the cocktail bar which was delicious, and also ended up ordering room service at 3am which was quick to arrive,and pretty decent for room service! The spa was A great experience, and the grounds are beautiful. Would definitely stay again! Super comfortable room - excellent professional staff - good food - shame we couldn't stay longer. The beds are heaven. Super big and super comfy! Spa area very clean and with a lot of natural light. Welcome was great and CO very smooth. Breakfast was UK standard, nothing special but very well done. It was home away from home. We enjoyed every minute of our stay. Staff were pleasant and the room was lush! Two TVs, Bluetooth radio, large bathroom, Kingsize bed, Lovely fireplace that kept the room nice and toastie!, Well stocked mini bar and a hydropool that was available throughout the day. There was a nice selection for the breakfast buffet! The grounds are beautiful as well. We are definitely coming back again. Sopwell House Hotel This rating is a reflection of how the property compares to the industry standard when it comes to price, facilities and services available. It's based on a self-evaluation by the property. Use this rating to help choose your stay! This property is a Georgian house. 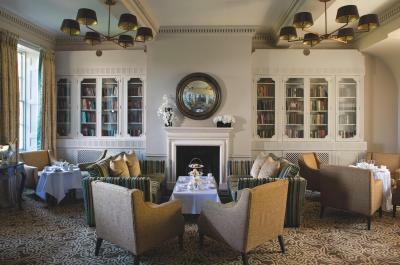 Guests can enjoy afternoon tea beside a fire, stroll through 12 acres of gardens, and relax in the on-site spa. 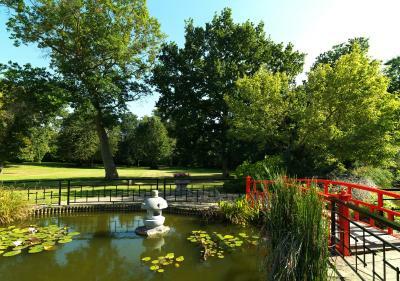 Central London is a 40 minutes’ drive away. Free WiFi is available throughout the property. An Art Deco-inspired swimming pool, fully-equipped fitness suite, and changing rooms are some of the leisure facilities you can enjoy at Sopwell house, which also features steam rooms, a hot tub, and an aerobic studio. The bedrooms are spacious and elegantly decorated, with free WiFi, a flat-screen TV with Sky Sports and tea and coffee making facilities. Complimentary ESPA toiletries and a hairdryer feature in each private bathroom. 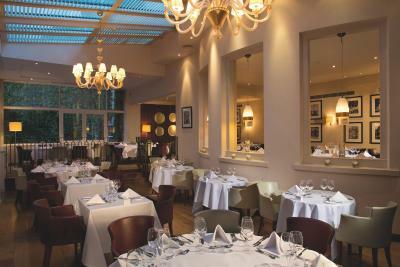 Sopwell House Hotel has a brasserie restaurant serving breakfast, à la carte lunch and dinner. 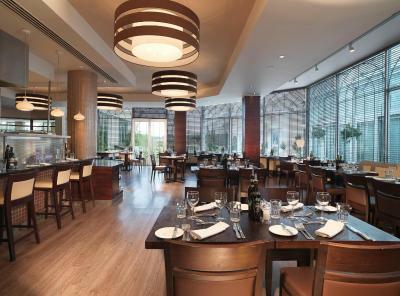 Light meals and hot drinks are available in the Conservatory Bar and the Cocktail Lounge is open into the night. The property is 1.3 miles from St Albans Abbey train station. When would you like to stay at Sopwell House Hotel? Each room is equipped with tea and coffee making facilities, a seating area, free Wi-Fi access, and flat-screen satellite TV including full Sky Sports package. These chic and modern rooms have a flat-screen TV, tea and coffee making facilities, and free Wi-Fi access. Bedding can be set up as double or twin, please request when booking. These spacious rooms have a flat-screen TV including full Sky Sports package, a separate seating area, tea and coffee making facilities, and free Wi-Fi access. These spacious suites have a flat-screen TV, tea and coffee making facilities, and free Wi-Fi access. "The Honeysuckle Suite" is a one-bedroom suite located on the second floor. This suite offers a super king-size bed, lounge area with sofa, large flat-screen TV and feature fireplace. A large bathroom is also provided. All Mews Suite guests have exclusive access to the award-winning designer gardens and communal hydro pool. Complimentary use of bathrobes & slippers is available to all residential guests during their stay. 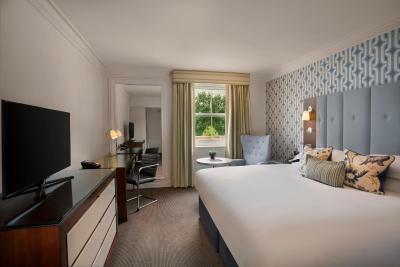 "The Ivy Suite" is an open-plan one-bedroom suite located on the first floor. 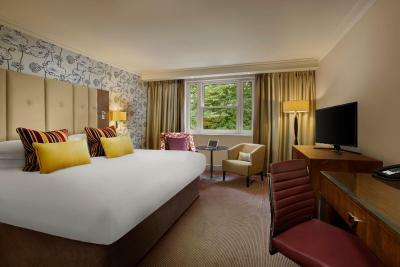 This suite offers a super king-size bed, lounge area with sofa, dressing table and a flat-screen TV. A large bathroom is also provided. All Mews Suite guests have exclusive access to the award-winning designer gardens and communal hydro pool. Complimentary use of bathrobes & slippers is available to all residential guests during their stay. "The Lilyturf Suite" is a one-bedroom suite located on the first floor. This suite offers a super king-size bed, a separate lounge with sofabed, dining area high-end kitchenette, large flat-screen TV and feature fireplace. A large bathroom is also provided. All Mews Suite guests have exclusive access to the award-winning designer gardens and communal hydro pool. Complimentary use of bathrobes & slippers is available to all residential guests during their stay. "The Lavender Suite" is a duplex one-bedroom suite. The ground floor consists of a spacious lounge complete with high-end kitchenette, dining area, sofa, large flat-screen TV and feature fireplace. 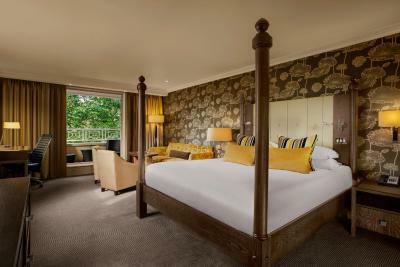 The top floor offers a king-size bed with spacious en-suite shower room. The Lavender Suite also benefits from its own secluded terrace and spa bath. 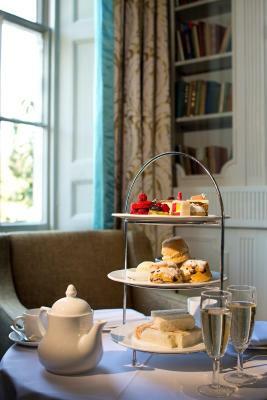 House Rules Sopwell House Hotel takes special requests – add in the next step! All children from 3 to 12 year are charged GBP 40 per person per night for extra beds. Debit card Sopwell House Hotel accepts these cards and reserves the right to temporarily hold an amount prior to arrival. Sopwell House Hotel accepts these cards and reserves the right to temporarily hold an amount prior to arrival. The property’s spa is available for use from 15:00 on the day of arrival until 11:00 on the day of departure. The hotel is currently undergoing renovations in the spa which has meant that temporarily, the boardroom on the first floor has been transformed into the spa waiting room. Treatments are to be held in very comfortable, fully furnished bedrooms while the works progress. The reception, pool, gym, existing spa facilities and treatments are all still available.The hotel apologizes for any inconvenience that this or any unexpected noise from the works causes and strives to ensure disruption to guests is minimal; no work will take place over weekends. This property allows children to swim 08:00 - 10:00 daily. Spa facilities are otherwise only available to adults. If you have accessibility or mobility concerns, please contact the property directly using the information on the reservation confirmation received after booking. Sofa beds are provided for children on request. Meals are not included in the child package. Upon check-in a credit card is required to pre-authorize the accommodations and a GBP 100 per room per day security deposit is taken. Third party payments are not accepted. The card holder must be present in order to comply with the chip and pin procedures. Kindly note that a valid ID/passport and proof of address is required on check-in. Our bath did not work. 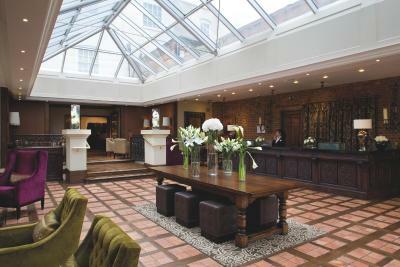 We asked reception on 3 occasions to sort this - of course going to a nice hotel you want to have a bath in the big bath! No one helped us despite reassuring us they would. Breakfast was ok but not great. Room was very basic. Planks of chipped wood underneath mattress. What looked like cigarette burns on bedside table. Woman on reception extremely patronising. The spa was beautiful and breakfast was lovely! Staff at the cocktail bar was a bit slow with service and not very proactive, but that wasn’t a big thing for us. Room was slanted thus bed was on an incline. Spa was nice though. Anniversary weekend and they leave petals on our bed whilst we were at dinner. Found it extremely odd. See above. Terrible receptionists. Having to be transferred to a room across the road which was not suitable for my husband. The hotel had to supply a wheelchair. I don't like going out into the cold to get to the main hotel. I particularly requested a room suitable for my husband, who has mobility problems. I asked for either a ground floor room or a room near the lift with a walk-in shower. I received confirmation of this and also confirmed it with Sopwell House on the telephone. The room allocated to us was the furthest, darkest room in the hotel, miles from the lift, no walk-in shower, down a long sloping corridor to the lift and the corridor upstairs had steps at intervals. We were offered another room (half an hour later, with my husband stranded upstairs) which was also nowhere near the lift. TWO HOURS LATER we were offered a room in the annexe, which was an upgrade, and a free meal that night. The reception staff lied to us and were less than helpful. Finally, two senior staff came to talk to us. No refreshment offered until I asked for it. The stress for me and my husband was unacceptable. This is not the fault of Booking.com who let Sopwell House know of my requirements. The food was very average. In the Brasserie my husband ordered a steak which was so tough that even when they gave him a sharper knife, was inedible. My Ravioli was so sweet and sickly, I couldn't eat it. Altogether, a disastrous weekend. All other staff were very helpful. We were upgraded from a room to the lavender suite. It was such a lovely surprise as we were going for our anniversary, it was the icing on the cake!